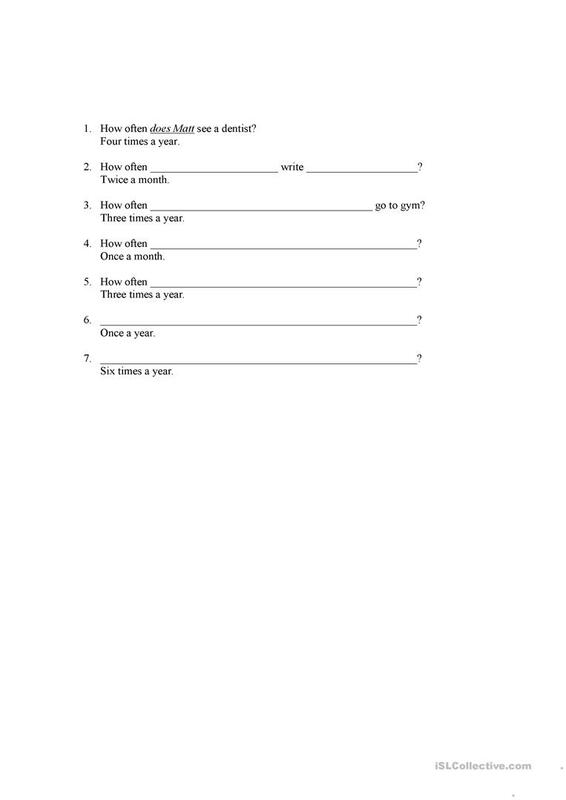 Students make questions in Present Simple using "How often"
The present downloadable handout is a great resource for high school students, elementary school students and adults at Elementary (A1) level. It is great for teaching Present simple tense in English. adisa is from/lives in Bosnia and Herzegovina and has been a member of iSLCollective since 2010-12-03 11:27:27. adisa last logged in on 2019-04-03 07:59:32, and has shared 3 resources on iSLCollective so far.